Today I'm participating in the Partners in Crime blog tour of Murder Strikes A Pose by Tracy Weber . . .
Synopsis . . . When George and Bella—a homeless alcoholic and his intimidating German shepherd—disturb the peace outside her studio, yoga instructor Kate Davidson’s Zen-like calm is stretched to the breaking point. Kate tries to get rid of them before Bella scares the yoga pants off her students. Instead, the three form an unlikely friendship. My Review . . . Kate Davidson, owner of Serenity Yoga, finds her life far from serene when she discovers the corpse of the homeless man she recently befriended in the parking lot of her studio. Who could have done such a thing to George, an apparently harmless down-on-his-luck soul, and what will become of his beloved yet behaviorally-challenged dog Bella? The police are convinced that George died in a drunken brawl or as a result of illegal activity, but Kate's intuition tells her differently. Although her plate is full between running her business and trying to find a home for the exuberant hard-to-place Bella, Kate embarks on her own investigation, much to the consternation of the local authorities. Persistent Kate is like a dog with a bone, refusing to give up the hunt for the killer, despite the setbacks, dead ends, and physical danger she experiences along the way. Will Kate ultimately unmask the murderer and secure justice for her friend George . . . or become the next victim? On first impression, the urban Seattle setting, quirky cast of characters, and snappy dialogue make this an entertaining debut cozy mystery. As the story unfolds, however, it is evident that Murder Strikes A Pose is more than just a murder mystery. Weber deftly balances the plot with life-affirming situations, drawing readers into both a compassionate search to find a home for special-needs Bella and the comic romantic plight of commitment-phobic Kate, who finds herself in a budding relationship with her potential Mr. Right, the local pet shop owner. Moreover, the inclusion of yoga's core principles of kindness and compassion in the storyline make this a refreshingly new entry into the cozy mystery genre. 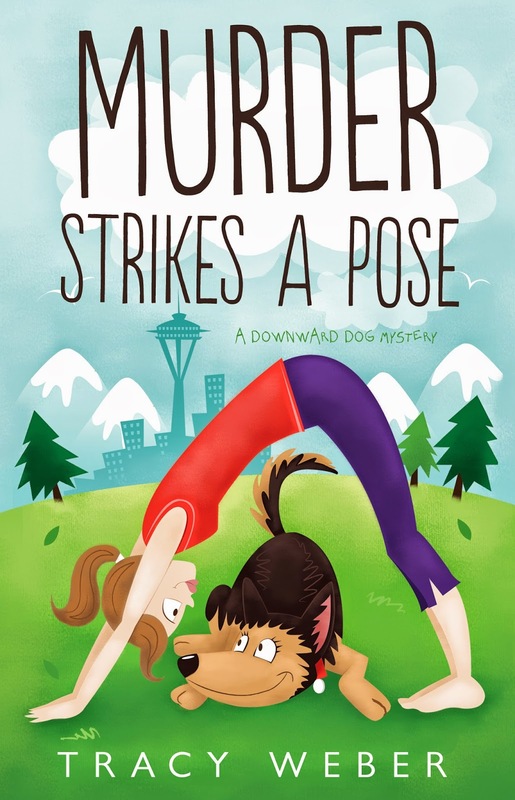 The series is off to a promising start, and is a good choice for dog lovers, yoga enthusiasts, and cozy mystery fans alike. I hope it won't be too long until the intrepid Kate and her circle of friends make their next appearance. I was given a copy of Murder Strikes A Pose in exchange for an honest review. 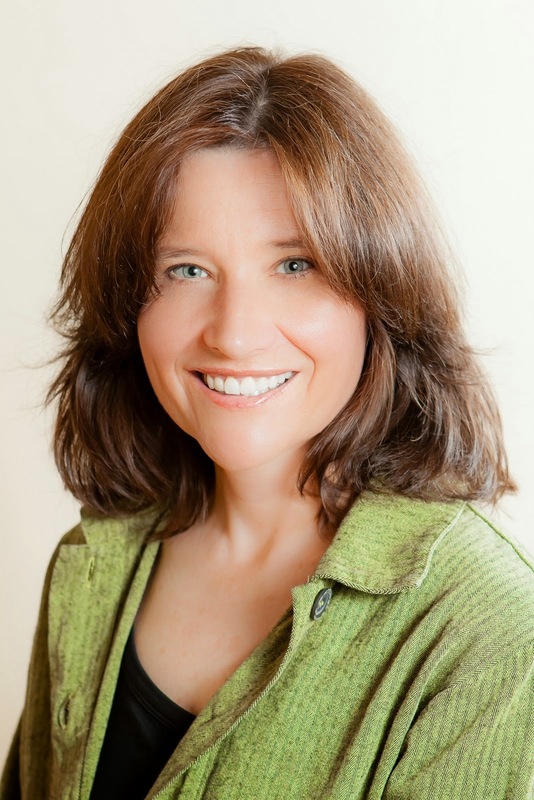 Tracy Weber's writing is an expression of the things she loves best: yoga, dogs, and murder mysteries. The author is a certified yoga teacher and the founder of Whole Life Yoga, an award-winning yoga studio in Seattle, WA. She enjoys sharing her passion for yoga and animals in any form possible. Weber and her husband live with their challenging yet amazing German shepherd Tasha and bonito flake-loving cat Maggie. When she's not writing, Tracy spends her time teaching yoga, walking Tasha, and sipping Blackthorn cider at her favorite local ale house. She is a member of Sisters in Crime, The Pacific Northwest Writers Association, and the Dog Writers Association of America. 8/28 ~ Review @ 3 Partners in Shopping, Nana, Mommy, & Sissy, Too! Thursday Thoughts: PICT Blog Tour Book Review: Murder Strikes A Pose was originally published by Catherine for bookclublibrarian.com. This post cannot be republished without attribution.